Viknesh Vijayenthiran January 14, 2019 Comment Now! 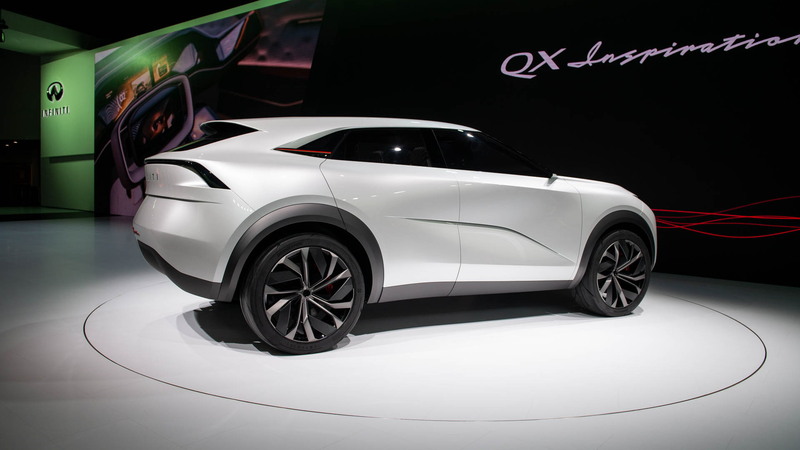 Infiniti on Monday revealed a new concept previewing a small, electric crossover SUV currently in the works. More significantly, the concept also marks the first application of a highly modular platform that boasts electrification and will eventually underpin most of Infiniti's lineup. The platform was first announced last April and is due to spawn its first production model in 2021. 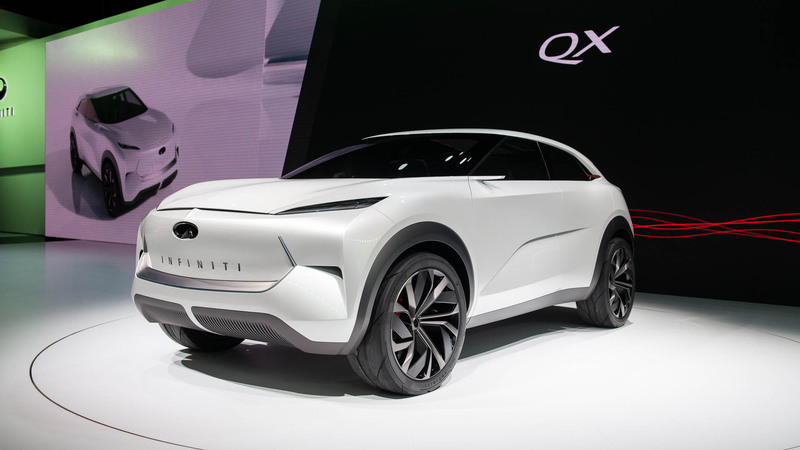 That date is also when Infiniti is due to launch its first electric car, which will most likely be the crossover previewed by the QX Inspiration. The platform is capable of offering parallel hybrid and pure, battery-electric powertrains. Electric cars based on the platform are expected to offer a maximum 400 horsepower and about 300 miles of range. The platform will also offer series hybrid powertrains, which Infiniti and its parent company Nissan have branded e-Power. The e-Power models will be electric cars that charge their batteries by a combination of energy regeneration and an internal-combustion engine acting purely as a generator. This differs to other series hybrids like BMW's i3 Rex, which also have a plug to charge their batteries. 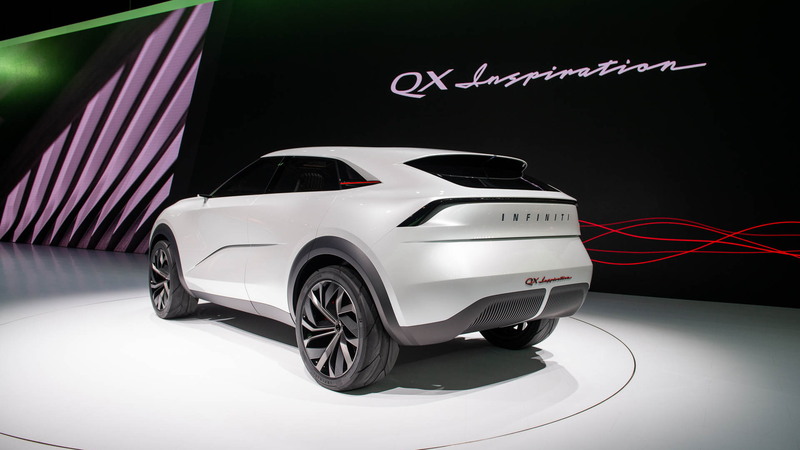 The QX Inspiration stretches 183.1 inches in length, which makes it similar in size to new electric crossovers like the Audi e-tron, Jaguar I-Pace and Mercedes-Benz EQC. Its exterior features a muscular, hunkered down stance. It also has very clean lines and surfaces. 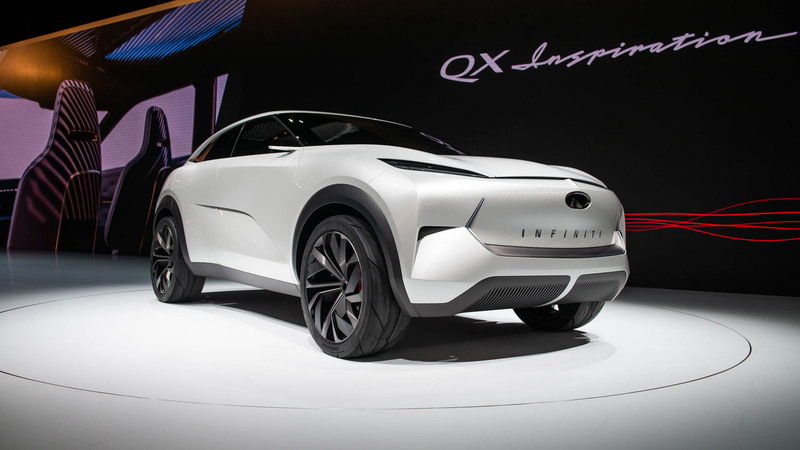 The new design language, previewed last August at the 2018 Pebble Beach Concours d’Elegance with Infiniti's Prototype 10 concept, will be common across Infiniti's future lineup of electrified cars. For vehicle interiors, Infiniti's new platform will enable the formation of a spacious, lounge-like setting. In the case of the QX Inspiration, there is a flat floor throughout the cabin as the batteries are contained completely below the passenger cell. The cabin seats four and features high-end, hand-crafted materials that follow Japanese tradition. This is juxtoposed against high-tech elements including multiple digital displays, including units that replace the traditional side mirrors. Infiniti has stumbled a few times in its road to launching an electrified car. 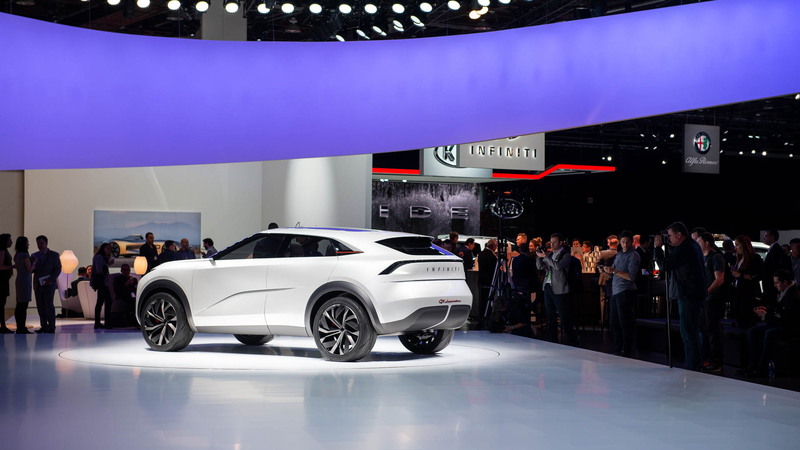 The brand showed two electrified concepts in 2012, the Emerg-E sports car and the LE sedan, and confirmed the latter for production, but neither ended up coming to fruition. Hopefully third time's a charm.